BEGINNING as a modest two-man team in 2000, Expand Construction has expanded over the last 15 years to its present A1 status, the highest-tier construction company with unlimited tender capacity under the Building and Construction Authority's (BCA) registration. Over the years, Expand Construction has built factories, offices and homes not just for people, and recently, also dinosaurs - three real 150-million-year-old diplodocid sauropod dinosaur fossils. The newly opened Lee Kong Chian Natural History Museum at the National University of Singapore, is an architectural marvel and incorporates cutting-edge design and technology. Featuring a lush "green-wall" landscaped entirely with native plants, the museum building houses the region's largest collection of South-east Asian zoological specimens. Expand's founder Von Lee, PBM, says his company is "proud to be the builder of this museum which showcases the diversity and history of life on earth". But it was also "not an easy task". The team had to devise a method to construct the massive shell of the multi-faceted building in concrete without vertical joint marks. Mr Lee shares that there has not been a project with a similar scale of off-form concrete finish. But the hard work paid off, he notes: "I am happy that the museum is completed because it is essential to conserve the over a million delicate specimens in a climate-controlled environment". The award-winning company has also constructed other iconic infrastructures, most notably the S$130 million Supertrees and Energy Centre at Gardens by the Bay, which is also considered a construction feat. This project has not one but 12 Supertrees with many of the canopies at arm's length from one another. The biggest Supertree is as tall as a 16-storey building with a canopy that stretches the length of an Olympic swimming pool. It also has a rooftop restaurant with panoramic views of the Marina Bay area. Each Supertree, made of concrete and covered with plants, are a sight to behold. And it was challenging to build. Expand adopted extensive use of alternative prefabricated components, right from the main core to the spiralling structures of the Supertrees. "In so doing, it reduced labour requirement for the project by allowing materials and temporary fixtures to be assembled at the ground level and thereafter lifted into position instead of working in-situ at height," says Mr Lee. This project won the company several awards, such as the Singapore Concrete Institute's Excellence Award 2011, the Singapore Structural Steel Society's Structural Steel Excellence Awards 2012 and the Building and Construction Authority's Construction Excellence Award 2014. Undertaking such mega projects that change the country's character and image, Mr Lee feels the company is a "major player" in Singapore's nation building process. 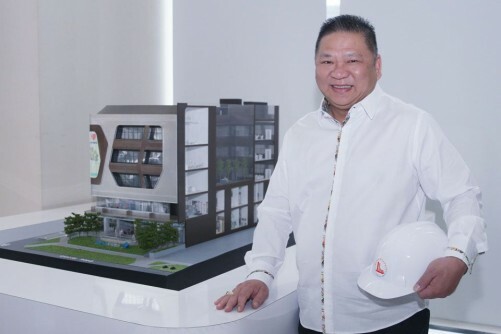 "Our contributions in the construction industry have helped not only in housing the population but also to beautify and shape the nation's landscape through some of the iconic projects we helped build over the years," says Mr Lee, who is Expand's executive chairman. Another role the company has taken on in recent years is in the area of public housing. 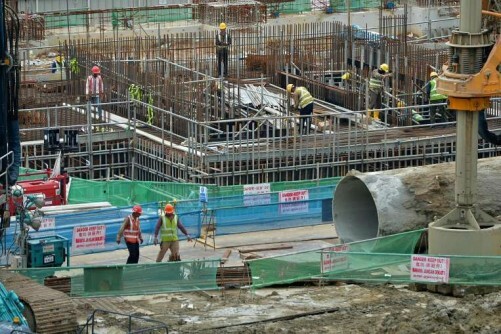 The company is constructing several projects with a total value of almost S$700 million for about 5,000 flats in Punggol, Sembawang and Hougang. The company's turnover was S$179 million in 2014 and is looking to exceed S$200 million in 2015. 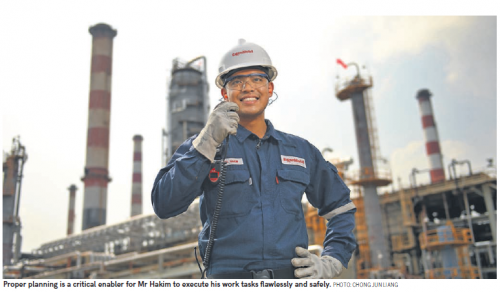 To date, the company has achieved aggregate revenue of S$1 billion and current outstanding order books of S$500 million. 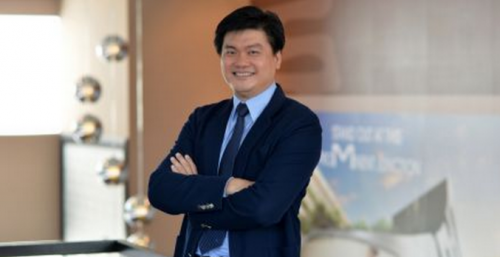 "Expand will continue to do what Expand is best at doing - that is, construction of special and technically challenging projects, aspiring to be world-class builders, world-class professionals," says Mr Lee. Today, the Expand Group has 590 employees and seven related companies - diversifying into property development and the equity market. The group is part of the consortium to develop private residential and commercial projects including Amber Residences, One Dusun Residences and the former Windsor Hotel to be developed into a commercial and hotel property, with gross development values well exceeding S$1 billion. For his business achievement, Mr Lee was conferred the Top Entrepreneur of the Year Award in 2008 by The Rotary and ASME. His company has also picked up many other accolades over the years, including the SME 500 award, Singapore 1000 award and the Enterprise 50 award. It is also recognised by the BCA with awards such as the Best Value Added Productivity (VAP) Award 2011, Green and Gracious Builder (Star) in 2014 and Construction Excellence that the company won for its Gardens by the Bay Supertrees project and Energy Centre projects in 2014. Looking ahead, Mr Lee says that the construction industry will continue to be challenging, from labour shortages to rising material costs and shorter construction periods placing pressure on every builder. To cope with the challenges, Expand is looking to invest heavily in mechanisation and new construction methods to improve productivity and efficiency. 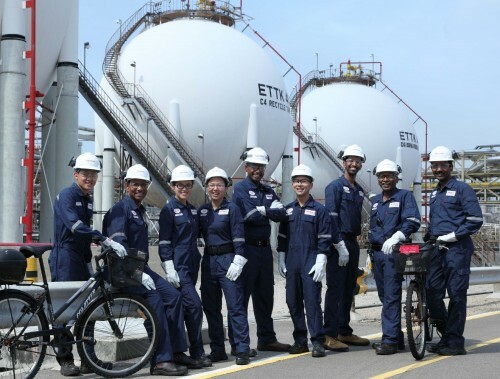 "Moving forward, the company looks to solution of sustainability, maintaining the strategy of asset light, lean and efficient management, win-win partnerships, to continue its extraordinary success and growth," he says. Highlighting the country's progress in the last 50 years, Mr Lee finds endearing the sentimental soul of Singapore with leaders who have shown care to its people, especially the recent recognition of the pioneer generation whose contributions made the country what it is today. "The outlook will remain bright and prosperous for Singapore with credible, capable, committed and compassionate leaders." And he hopes to continue to lead Expand Group well into the next decades, achieving yet many milestones with the Expand families, and enjoy the fruits of their labour together.